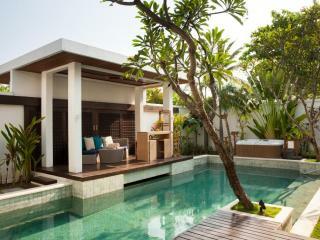 The new trend in accommodation, Bali villas are boutique, private lodgings offering the ultimate in luxury and seclusion. Gaining in popularity, these villas are a refreshing deviation from your typical resort or hotel accommodation experiences. Featuring more spacious living quarters and a wealth of state-of-the-art facilities, most are often self-catering with additional options for in-villa catering. More than just a place to sleep, villas are designed to be your lavish home-away-from-home with outdoor areas, private pools and personal staff dedicated to servicing your needs. Bali villas feature the same service and facilities of a 4 or 5 star resort but on a more exclusive basis, with less rooms offered to ensure an intimate and peaceful holiday experience. There are a fantastic range of deluxe villas available across Bali, including the most popular tourist destinations such as Seminyak, Sanur, Ubud and Jimbaran. Surprisingly affordable, Bali villas are a popular alternative to many traditional forms of accommodation as they offer far greater value for money. An obvious choice for honeymooners and couples on romantic getaways, families, large groups and young travellers also enjoy the indulgent and economic advantages of choosing to stay in a Bali villa. 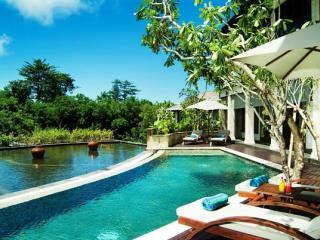 Renowned for its high end accommodation, Jimbaran Bay villas offer fantastic facilities including indulgent day spas. 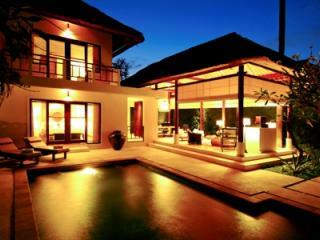 In perfect harmony with their beautiful natural surrounds, Ubud villas are nestled among stunning mountain ranges. 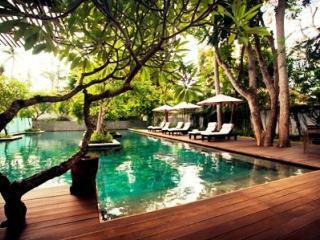 Surrounded by lush tropical gardens, Nusa Dua villas offer luxury accommodation with refined levels of privacy and service. 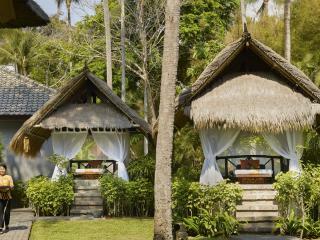 Located right in the heart of Kuta Beach, these villas are made from eco-friendly materials and are designed to reflect the style of traditional Balinese villages.